For Senator Florence Ita-Giwa, she remains her effervescent personality. Her position as one of the most famous women in the Nigerian social and political circle remains incontestable. As a philanthropist, she is well-loved and as a socialite, she is well-admired. So little wonder why her birthday never goes unnoticed. On Tuesday, the woman of substance clocked 73. Though she didn’t have any celebration plan, yet many, particularly beneficiaries of her large heart, still found way to her place to show their appreciation for her kindness and compassion. It was gathered that these select individuals joined to celebrate with her children and few friends in Calabar, Cross River. 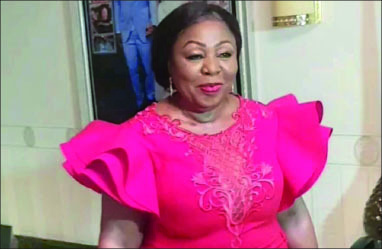 But Spotlight learnt that it’s not that Ita-Giwa won’t be celebrating at all as many still relished her private party last year to mark her 72nd. The influential madame, it was learnt, is plotting a special belated birthday plan for March 3 to coincide with the grand opening of her new love; Echoes of Calabar, a posh restaurant. The birthday party and the opening of the new diner, located at Akin Olugbade Street, Victoria Island, Lagos, is expected to be graced by the high and mighty in the society. At age 73, Ita-Giwa, who was recently honoured with The Sun Lifetime Achievement Award, still adorns the front page of newspapers and celebrity magazines with paparazzi still running after her at events to document her ever beautiful face and timeless fashion sense.